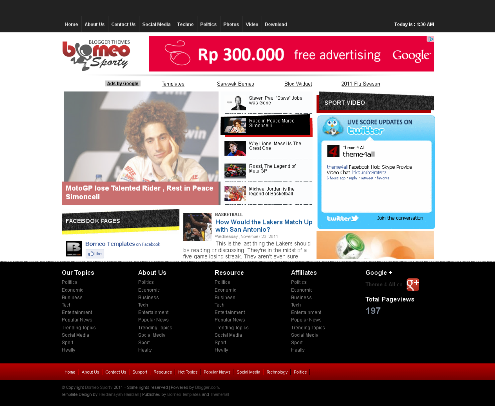 Template Description : Borneo Sporty is blogger templates with magazine style design, 3 colums layout, elegant featured slideshow, simple menu horizontal, share button ready on postpage, adsense and SEO ready, hosted image on blogger, best view on Mozilla, Chrome, Opera, IE 6,IE 7,IE 8 and IE 9, SEO friendly blogger title hack installed to help you rank higher in Google, and more. This time I'm not distribute templates to you. But just about the color codes html tutorial. I believe this tutorial is very useful, especially you who like to design templates. Color code is one of the major needs in the design process. 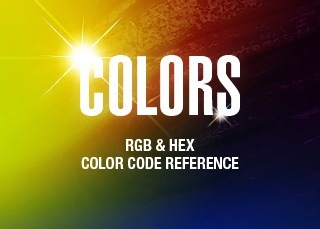 These color codes are available in the form of html code. This is HTML color codes that you can use in your blog or website. Very easy to use. You just point the cursor on the color box you want, then copy the HTML code at the bottom. Good luck and hope you enjoyed.